Olof Palme (January 30. 1927 - February 28. 1986). He was Swedish Prime Minister from October 14. 1969 – October 8. 1976 and October 8. 1982 – February 28. 1986. 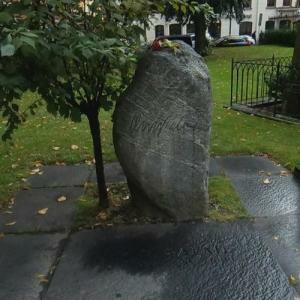 He was assassinated after having visited a cinema at 11:21PM accompanied with his wife Lisbeth. The murdere has never been found, though the Swedish police quickly found a suspect in a criminal named Christer Pettersson, he was sentenced to prison by Stockholm District Court but acqitted by the Supreme Court of Sweden.